What Factors Influence the Prices of Precious Metals, Including Gold,Silver and Platinum Jewelry Settings? Have you ever wondered how Portland jewelers determine the price of jewelry like a Rolex watch, a diamond ring or a wedding band in? Although the design of the jewelry can influence the value, most of the price is determined by the cost of the materials used in the piece of jewelry. 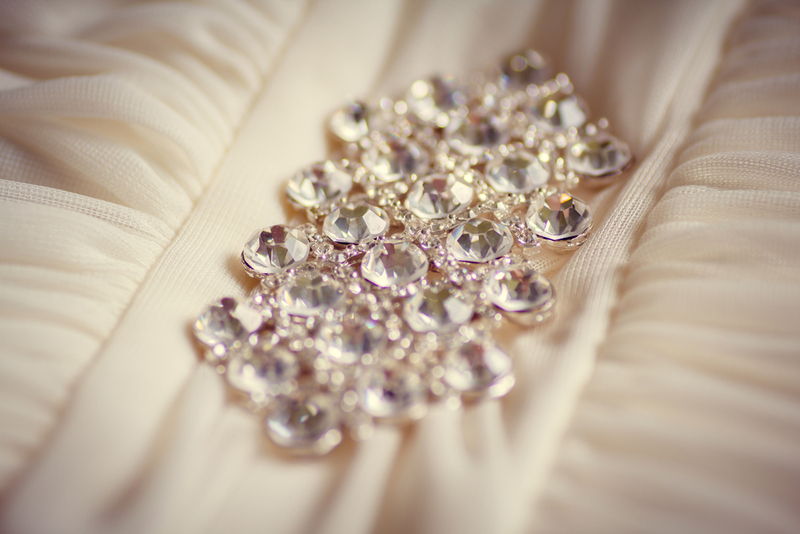 When it comes to luxury jewelry items, this typically means the price of diamonds and precious metals. This article will discuss which factors influence precious metal and gemstone prices around the world. Additionally, we will explain what makes a metal “precious” and how it affects the cost. Precious Metals – What Are They? 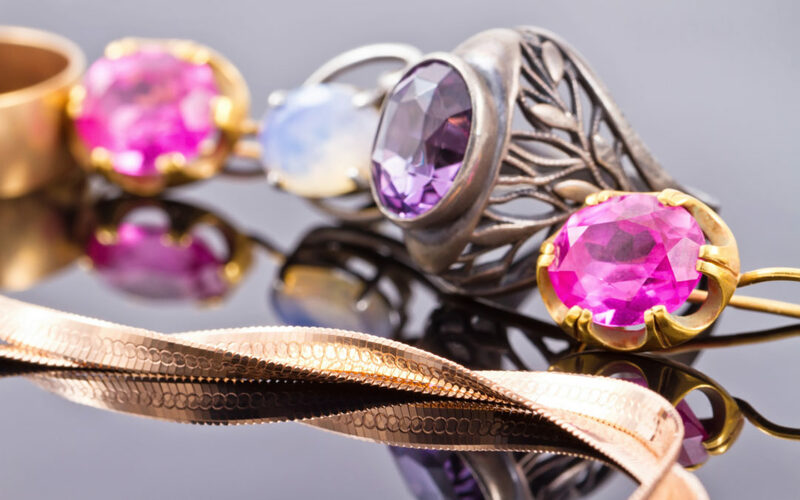 The metals used to create valuable items, including jewelry occur naturally and are rare. In addition to precious metals’ rarity, these metals are also used in industries, making the demands for these metals even greater. Some of the most common precious metals are gold, silver, and platinum. Luxury jewelry uses precious metals due to their beauty, history, and strength. Let’s take a look at luxury jewelry items that use precious metals and gemstones like diamonds. Keep reading to find out the things that can influence the cost of diamonds and precious metals. One of the main things that influence the price of diamonds and precious metals is the amount of supply that is available. Unlike other manufactured products and agricultural items, precious metals cannot be produced. It is believed that all of the gold in the world can fit in a 67 feet cube. Unbelievable right? The supply can only be increased by the discovery and mining of new gold. As the demand for gold increases, it becomes more difficult to keep up. Fortunately, technology has made it easier for mining companies to extract gold from raw ore (the rock that is mined out of the ground). Although new mining parts are difficult to locate, areas of old mines that were once considered not worth mining can now be used to increase the amount of gold in circulation. Because new gold is being mined from older sources, it is beneficial to the environment. Although the main way that new supply is found is through mining, there are many gemstones and precious metals already in circulation. This can affect the market price of precious metals and diamonds, especially gold and diamonds. Although a single item does not have the power to affect the market, the effects of all piece in circulation can be meaningful. The demand for precious metals and diamonds is determined by the desire that people have for these items. Demand includes both industrial and commercial industries. Typically, diamonds and precious metals values are believed to be due to the desire that people has to wear high-end jewelry. Although this does play a part in the demand for these materials, these metals are also used for a variety of industrial and monetary uses. For example, when the dollar becomes weaker, the price of gold will increase. High Debt – If the United States acquires a lot of debt, the dollar can become weaker. Weak Economy – When the United States GDP is not growing and the economy is weak, the US dollar begins to weaken. Investors Leave – When investors leave the US market, the strength of the US market begins to weaken, causing the dollar to fall. The value of precious metals and diamonds can change due to technological innovations. One example of this is diamonds. Although diamonds are beautiful and used in jewelry, they are also used in industrial settings. Diamonds are considered one of the strongest materials on the Earth. Therefore, diamonds are often used to drill and polish items in an industrial setting. This industrial demand for diamonds has increased the need for diamonds, resulting in the cost of diamonds increasing. Luckily, man-made and synthetic diamonds have emerged and can be used in an industrial setting. Although these synthetic diamonds are flawed visually and do not have the character needed for jewelry pieces, they work quite well when it comes to industrial usage. Over time, the cost of diamonds will probably decrease because the need for natural diamonds will decrease as more and more industries begin using man-made diamonds. Although diamond engagement rings will probably always be in style, gemstones and precious metals can quickly cease to be popular and replaced by other materials. For example, one of the latest fads is to wear costume jewelry rather than real gemstones and precious metals. However, just like all fashions, this will change with time once again. One of the primary things that affect the precious metal market is the US economy. For example, unemployment reports in the United States can quickly affect the value of precious metals. Additionally, these economic shifts can impact the spending habits of US citizens. When citizens are worried or anxious about their finances, they will begin saving money rather than spending it. In addition to not purchasing high-end items like jewelry, the purchase of products that are made with diamonds and other precious metals begins to decline as well. During periods when unemployment rates are high, a recession often occurs. This can cause markets to stagnate and take a downturn. When this occurs, it can take time for the market to stabilize. The value of precious metals and diamonds will decline when unemployment rates are high and will increase when unemployment rates are low. The market becomes volatile when there are periods of GDP growth followed by periods of GDP decline. This can cause the prices of precious metals and diamonds to be high one day and drastically drop the next day. 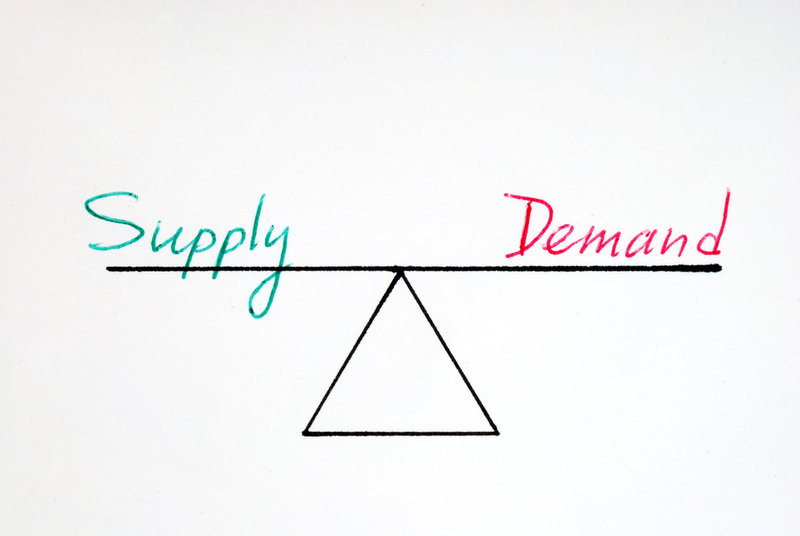 Political uncertainty can affect the diamond and precious metal market in two different ways. First, because two or more legislative parties are vying for elections it can impact the precious metal market. Each party has its views concerning economic reform, taxation, and regulations. Although the market, in general, does not care who the winner is, it does want clarity of how the winner’s decisions will affect the market. Secondly, the supply end of the precious metal market can be affected by political uncertainty, especially in countries where precious metal mining is done. Environmental regulations can change, mining permits are suddenly required and worker strikes can occur. Even if these actions do not affect consumers, they do have a major effect on the mining industry which can cause prices to change suddenly. It can be difficult to determine when you should buy and when you should sell your diamonds and precious metals. There are so many factors that can impact the value of precious metals that you must take your time getting to know the precious metal market. Rather than finding the perfect time when the prices to sell your precious metal and diamond valuables, sell them at a price that you feel comfortable with and at a time that feels right. Northwest Diamonds & Jewelry is Portland’s most trusted jeweler. The company is family owned and operated, meaning they care about their customers and their customers’ satisfaction. The professionals will be with you through the selling process and want to ensure that you understand why your valuables are worth the price that they offer. There is no pressure to sell and the employees will be happy to answer your questions. To learn about selling your diamond jewelry, visit the Sell & Consign Jewelry page or give us a call at (503) 222-5571.